The past few years have been particularly terrible for two groups: Women and DC fans who actually want to see a good superhero film post Christopher Nolan's Batman trilogy. Obviously within the greater context of society, the latter pales in comparison to the film complaints. However the two are not inseparable either, if there was ever a time that our Country, even our World needed a strong female to look up to, that moment is now. We have a leader who refers to women as slobs, pigs, dogs, and sees an entire gender not merely more than sexual objects (Click the preceding link to the USA Today article if you don't believe me!). 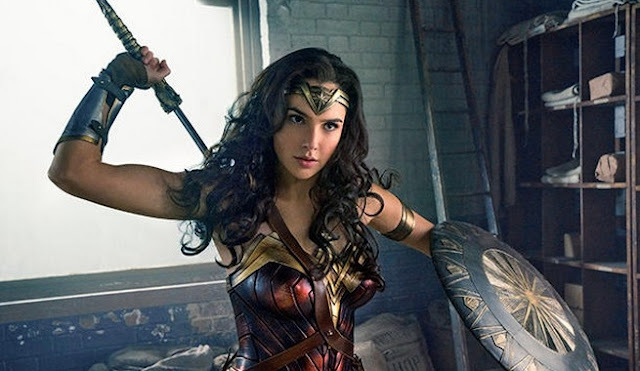 The political statement opportunity of female empowerment that Patty Jenkin's Wonder Woman has the power to represent at a blockbuster, directorial, and character level is unprecedented. Mild spoilers for Wonder Woman follow! Patty Jenkins Wonder Woman can be summed up in the simplest of phrases: love conquers hate. A message the people of the World could not be thirstier for at this point in human history. While that may sound all to familiar too a certain democrats recent campaign slogan, it is ultimately what transcends Wonder Woman beyond being merely a superhero film. However it is how the film delivers that message that makes Wonder Woman a truly special film. 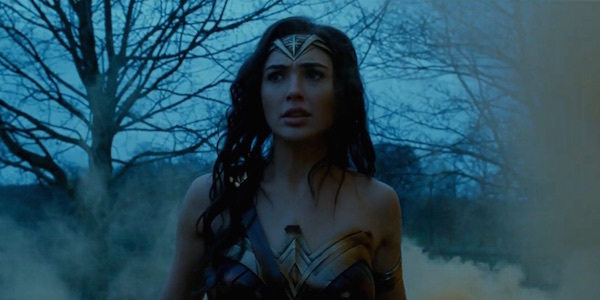 Beyond the fact that the message comes via both a female director (Jenkins) and lead (Gal Gadot), the films ability to look for the best in people even in the worst of times, and acceptance put it on par with transcendent superhero societal commentaries such as The Dark Knight, and the original Civil War comic messages about liberty versus security. Wonder Woman is to the Trump Era what those stories were to the Bush era. The films timely political messaging ultimately rest on the foundation of a very well done superhero origin film, as well as World War I film. So often Superhero films fail to feel like much more than that. Thor may take place within the context of Norse mythology, but it never truly feels like a mythological film. Captain America First Avenger was set in WWII, but so often the great allied victory feel by the wayside to make way for MCU story elements. Wonder Woman never feels that hollow, in it's first act you feel like you are watching Greek mythology come to life right before your very eyes, in the second act you feel like you are experiencing All quiet on the western front, and it isn't until the films climax that you feel like you are watching a superhero film, and an very well done one at that. 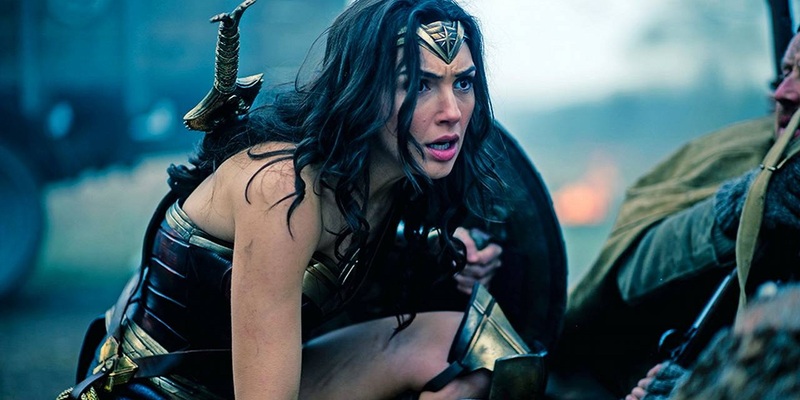 From the breathtaking beauty of Themyscria, to the pulse pounding trenches of France during WWI, it was Gal Gadot's portrayal of Wonder Woman that allowed her to pick up the political frustrations of an entire generation, and put them to work as equally as she did her lasso of truth. 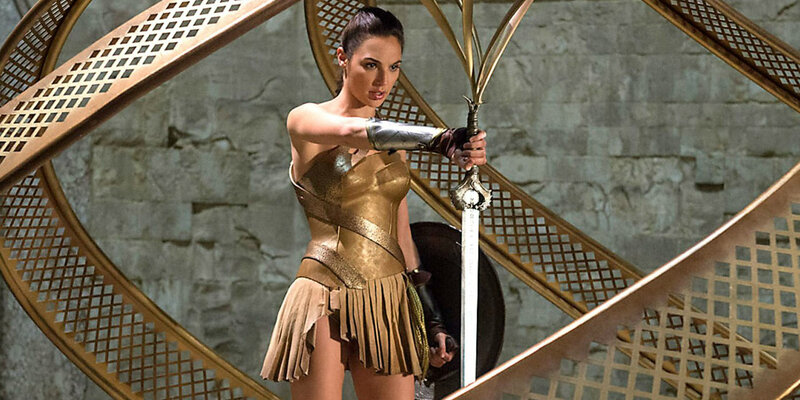 Gadot's ability to come off as exotic and modest at the same time, keep the attention of the film where it needs to be, which is tugging at your heart strings as they invoke or perhaps even awake your moral compass. 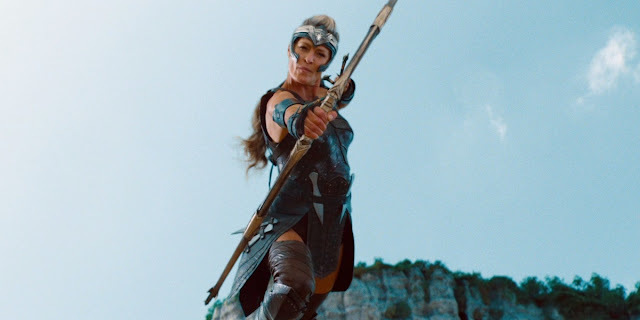 The film is not shy of great supporting performances as both Chris Pine's, Steve Trevor, and Robin Wright's, Antiope, deliver memorable performances that never overshadow Gadot or the film's societal scope. Never at any point over the course of this film did I feel like Patty Jenkins was trying to do anything other than make a great Wonder Woman film, as thankfully the DCEU was pushed to the wayside. Gone were the bloated action scenes and pointless darkness in favor of a message of both hope and love. Jenkins may have given WB a blueprint for future success by showing the type of quality cinema that can result when you truly focus on the characters core values, such as one that is on display during the most memorable line of the film: "I will fight for those who cannot fight for themselves." An old proverb that we can only hope that the people of the World and its leaders will aspire to live by.